Last week I chaired a fascinating panel discussion at a conference titled: “Emerging Powers: Going Global”. It was all about the new world order, and the role of China, Brazil, India and others, particularly in Africa. Such powers of course have long emerged and so the title was a bit misleading, but the interesting discussions focused on the changing dynamics of power, and especially in Africa. The conference was held in the British Academy, in their fine building on Carlton Terrace off the Mall in London, the inside of which is adorned with portraits and busts of the great and the good of years gone by (all men, at least the ones I saw). The establishment of the BA was first proposed in 1899, and it was established in 1902, just before the coronation of Edward VII, following the death of Queen Victoria. It was at the height of the British Empire when Britain ruled the world, or at least large parts of it. 111 years on, Britain’s role in the world has much declined, and the great and the good of today assembled in the conference hall of the Academy (there were lots of Lords, Sirs, OBEs and more in the guest list – and I even wore a tie for the occasion) were having to contemplate a new configuration of power and influence, with Britain as a declining power. The pattern of large scale land acquisition (‘land grabbing’) noted post 2007-08 is on the decline. Many investors have had their fingers badly burned. One panellist indicated that he would never touch land acquisitions, and would only invest up the value chain. Another said that you enter ‘green field’ investments with trepidation, and it’s so much easier to go for ‘brown field’ sites, where ownership is clear, infrastructure is available and so on. There was universal support for a smallholder led strategy (this was a surprise given the panel composition), but with linkages to large-scale capital investments in core estates or farms. Outgrower and contract farming arrangements were favoured, allowing for market connections, quality control and upgrading. While there were ‘intermediation’ problems to be addressed, the efficiency and productivity of smallholders was acknowledged, especially if they could be offered capital investment, input support and training. Land tenure and ownership was highlighted as a big issue affecting land based investments in Africa. Lack of clarity of who owns what, and empty land turning out not to be were highlighted. Negotiating at a local level with traditional leaders and local communities was seen as one route, but with its own risks. The ‘Africa rising’ narrative had to be tempered. The massive growth estimates that are sometimes touted are often based on extremely dodgy data; and where growth occurs it tends to be associated with oil discoveries or recovery from conflict. The longer term future is not as bright as the hype. Clearly investments from Brazil, China and others are going to be key, but they will inevitably allied to other investors and finance arrangements as part of multi-partite business arrangements. Unlike geopolitics, business does not differentiate between old or new powers in the same way, and there is much more interconnection. There is far more room for manoeuvre by African states than is sometimes imagined. While everyone is prepared to play on the rhetoric of solidarity and South-South cooperation, everyone also knows where interests lie. And in the end national sovereignty counts. Getting a good deal from investments in a ‘buyers’ market’ is easier than some think; however some states are better than others at the negotiations. Interestingly Zimbabwe came up a number of times. The new geopolitical configurations in southern Africa mean that China in particular is a key partner, and essential to the support of the Zimbabwe regime. Chinese support for the agricultural sector, notably tobacco, but also cotton, was mentioned several times. One of the investors commented favourably on the potentials of the post-land reform setting, with multiple small farmers offering products to the market. Investment in marketing, product upgrading and processing linked to A1 settlements in particular was seen as somewhere where ‘money could be made’. He had seen firsthand how the Chinese were doing it in tobacco, and thought this could be replicated more widely. As he noted, the international media impression of Zimbabwe doesn’t match the reality on the ground. He was keen to get in there soon, before others got wind of the potential. There was a sense of early entrant advantage in a business opportunity ripe for exploitation. Commentaries on the business potentials of agriculture in Africa – and particularly smallholder agriculture following land reform – from agribusiness entrepreneurs are not often heard in the hallowed halls of venues like the BA. But these are surely just the discussions going on Sao Paulo, Delhi and Beijing, not to mention Johannesburg, as ’emerging powers’ and their investors plot how to make the most from Africa’s potentials. While investing in agriculture is tough, as the panel confirmed, Zimbabwe may well be a good bet. 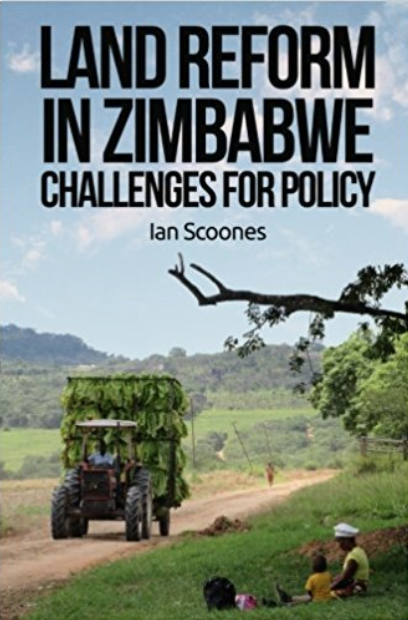 This is certainly the view of the book, Flight of the Phoenix – Investing in Zimbabwe’s Rise from the Ashes during the Global Debt Crisis, which offers a very positive longer term view of the investment prospects. Empty fields overgrown with thorns do not mean that they do not belong to someone. A properly contracted document signed and witnessed by the headman after consultation with the elders is the only way to ensure rightful purchase in the communal areas. People can get harassed out of a field that they paid for in good faith without aformal witnessed contract. It is no surprise when such a thing happens. Sometimes it can be regarded as deliberate theft by disception. You have to be very careful who you buy a field from not to mention a donkey. Forward and backward linkages is a prominent theme in this blog and investment in agribusiness creates these linkages. It is an identified way of increasing prosperity in rural areas. It needs scaling up from its current levels. There seems to be a lack of activity though hence slow progress. Large parts of the country are stagnating. Particularly the drier southern areas. But returns on business investment will focus on more probable geographical areas of return even within a country. Hence tobacco growing is booming in the northern parts where there is good annual average rainfall and proximity to the Harare auction markets. But in the drier and more remote south it is not taking place. Positive discrimination used to be a theme promoted in some places. Is something like that needed for the southern parts? Business will not buy into it as it will increase costs and reduce margins of profit. So how does it happen. People in the south just have to work harder for less return? Maybe that is all that can be done. Was in region 5, Mat South, this afternoon. On the way home flagged down by two gogo’s wanting a lift along the road. They were going to a place called Ntabanendi which is now fast track and it was assumed they had some plots there. Sometime before independence Ntabanendi was an indigenous area. The father of a late friend of mine ran a small dairy herd there. But they were pushed off to make way for Europeans. They were relocated to north of the Shangani river. There they had to clear the land and start again which they did successfully. Is it not strange that Smith et al did not say to the Europeans go and clear the empty land in the Shangani and make yourself a farm there and stop coveting the land the African is on in Ntabanendi? They would have needed moral values to do that. Without independence and with the continuation of the colonial mindset the African would by now have been pushed off the new land in the Shangani and be moved to the Congo Basin somewhere. At independence the legal title to Ntabanendi belonged to whoever the farmer was at the time. It might have been sold once or twice since then. Accepted it was all within the law and in good faith. But the land really belonged to a man in Shangani. He was dispossessed. It seems the latest dispossessed farmers take account of their legal title to the land but do not take account of how the legal title to the land was obtained. If person A steals a cow from person B and fraudulently updates his stockbooks and then sells it to person C, the cow still belongs to person B. Person C will not be prosecuted but will lose the cow and the cow will be returned to Person B. Person A will be prosecuted. No law would ever be thought off that Person C could keep the cow and Person B would not have it given back to him. Imagine Hitler had crossed the channel and defeated the British Army. Brought say 1,000,000 German farmers with him. Pushed the British of their farms and put his own people on it. They were much more productive than the British, made Britain a massive food exporter and sold the farms a few times between themselves. Eventually the British rose up and defeated the occupiers. Would they have accepted a settlement where the Germans were allowed to stay on the farms. Would they have accepted the statement that the Germans were much more productive and the economy was going to suffer. I don’t think so. The British would have looked up the registers, found the original owner and said here is your farm back. It is all very obvious. The settlement was flawed. It is disingenous to take advantage of a flawed settlement. Theft enshrined in statute or constitution is still theft. None of this is being said to support what happened or the real reasons behind land reform. Just to show that the position of the dispossessed farmers is morally disingenous. Again, the land still belongs to a man in Shangani or rather to his sons who are still living not even to the two ladies on the road today. What a nonsenses is being written about Zimbabwe again and it is total out of order to bring in Hitler, unless you use own Mugabe’s own words. “I will be a 1000 x Hitler.” And he did, read the book FEAR by Peter Godwin, who was born there. “The battle of Zimbabwe” by Geoff Hill and you won’t believe what happened to the ordinary Zimbabwean, being white or black, it is against human rights. In 1890 there were only 400.000 people living in what is now Zimbabwe. They cannot own 390,757 km2 of land. Also there were no borders, no capital, no cities, no roads and no central government, no written language and there was a on going war between the tribes. By the way the UK is 243,610 km2 big and has 63 million people, Zimbabwe has 12 million people. Still the white Zimbabweans are called colonialists??? They have no right for a UK passport, they have more problems moving to Europe (as descendants of Europe) then black Zimbabweans and they are the one’s that carved farms out of bushland. The Africans did farm but never maintain the soil so after a few years they burned their huts and moved on. That is why there are no old towns build from stone found in Southern Africa as they never settled down. If in the UK people settle, are they be called immigrants after 4 generations? No of course not, they are British. But white Zimbabweans are still called colonialists! By the way, the local Africans called the first ones “settlers” and now they are white Zimbabweans. Of course not by the “politicians” or by ” so called” experts from “institutions” studying Africa situations, during congresses but never have been on the ground nor ever worked and lived there to earn one’s own salary and pay local taxes, instead of living off the British taxpayers. I just returned from Zimbabwe, where I lived for 6 years (1978-1984) and visit last in 2006 and now, well the only difference is that the country is invaded by Chinese who really are rapping the country empty. Diamante go straight to China and the poaching of Rhino’s and Elephants while the horns and ivory leave the country in diplomatic bags. But not a word from the West. The fields are empty, no food production, everything is imported from South Africa. It is sad to see, also the poverty, which was not there in 1978. But the Fat Cats are in Harare with their million dollar mansions. In 1923 Rhodesia had self-government and they had their own army and police force, not one was send by the UK. To be a colony, there has to be a colonial army and civil servants. Ian Smith predicted what was going to happen and he was right. He was the most modest person I ever met as a politician and as a human. His door was wide open without body guards or dogs and many Africans came to speak to him.How many of you can knock on Tony Blair’s door and have a cup of tea? And am, if you are honest say that the land belongs to the little yellow men, called Bushman, who were kicked out by the Bantus.